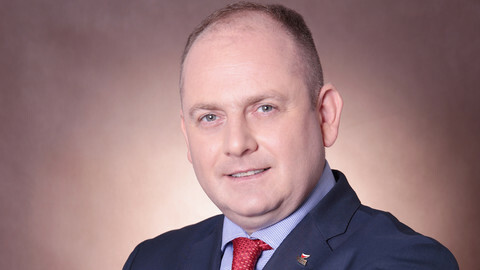 Executive Vice President of the Polish Investment and Trade Agency Wojciech Fedko visited Egypt to explore investment opportunities. During his visit, Fedko met officials of the Egyptian Businessmen’s Association (EBA) to discuss the establishment of the Polish Agency’s branch in Egypt, as well as constructing an industrial zone at the Suez Canal corridor area. Executive Manager of Egyptian Businessmen’s Association Mohamed Youssef said that Fedko emphasized Polish interest in investing in Egypt, and that it will construct a branch of its agency here. Youssef added that Poland seeks to negotiate with the Egyptian government to build an industrial zone at the Suez Canal corridor area to use it to transfer a number of advanced industries in Poland such as the manufacturing of automotive parts, chemicals, waste recycling, and railways, in order to meet local needs and export to neighboring African markets. This visit came after a Polish delegation had visited Egypt by the end of February and met around 60 businessmen, Minister of Investment Sahar Nasr and Minister of Industry Tarek Kabil. The Polish delegation discussed their desire to construct an aluminum firm, and a car battery recycling factory, in addition to the construction of 10 huge projects in various fields. Trade Exchange between Egypt and Poland is currently worth $500 million. Lately, Egypt has started to work on attracting foreign investment and followed it with economic and legal reforms, which included a new investment law and investors’ centers. The new investment law provides investors with several incentives in addition to treating men and women and Egyptian and foreign investors equally. The law also stipulates that foreign employees should not exceed 20 percent of the total number of workers in the projects established by non-Egyptian investors. Investors’ Centers provide services to aid in the procedures of establishing a firm, its contract, documentation, licensing and commercial registration. They also respond to investors’ inquiries about electronic establishment for companies, investment opportunities in different governorates, free zones and settlement measures of investment disputes. The Polish Investment and Trade Agency (formerly Polish Information and Foreign Investment Agency), helps investors enter the Polish market and find the best ways to utilize the possibilities available to them. The Agency’s mission is to create a positive image of Poland across the world, promoting Polish goods and services.